With Israelis moving across Green Line into Judea and Samaria, prices in settlement housing markets surge. Growing up in a Jerusalem apartment, Aaron Lipkin used to marvel at the two-story houses that he would see on weekend drives with his parents. It made little difference to him that those houses were in Israeli towns in Judea and Samaria. A religious Zionist, he sees no problem living in the territory that the United Nations views as occupied land. So when he and his wife went house hunting in Jerusalem 19 years go and couldn’t find anything in their price range, they ventured north to the town of Ofra in southern Samaria. Ever since they have lived there in the two-story house of Lipkin’s dreams. A generation later, Lipkin is facing the same problem. His kids want to move back to Ofra — but now it, too, is unaffordable. Lipkin bought his house in 2000 for 550,000 shekels (about $200,000 in 2018 dollars, correcting for inflation). Now he sees houses the same size in Ofra sell for at least 1.5 million shekels, or $411,000. In fewer than 20 years, in other words, the price of housing in the town has doubled. Since the Lipkins moved across Israel’s pre-1967 borders, or the Green Line, hundreds of thousands of Israelis have followed their lead. In 2000, there were fewer than 200,000 settlers living in Judea and Samaria, excluding eastern Jerusalem, according to B'Tselem, a left-wing Israeli organization. Now the number is closer to 450,000. And home prices are rising accordingly. Many of the settlers are ideological — committed to the principle of Jews living in Judea and Samaria and Israel retaining control of the area. But others were drawn by the quality of life offered by settlements — larger houses, more green space and intimate communities. The Israeli government has also facilitated that comfort, building access roads that avoid Palestinian Authority-controlled areas and increasing the number of bus lines that go directly to the Israeli communities. The changes mean that many settlers can live their lives, if they choose, largely avoiding contact with the Palestinian villages around them. Even towns farther from the Green Line, like Ofra, have the feel of a suburb. But now Israeli communities in Judea and Samaria are becoming more like Israel in yet another way: The country’s festering housing crisis, which has seen home prices balloon for a decade, is moving across the Green Line. The safer Israeli towns in Judea and Samaria feel, the faster their home prices rise to meet the national average. According to a November 2016 paper by the Shoresh Institute, a research group in Israel, housing construction in the settlements did not keep up with population growth. An October 2016 paper by Israel’s Center for Political Economics found that the number of average monthly salaries needed to buy a home in the settlements rose from 87 in 2003 to 152 in 2015. That’s only 10 paychecks less than the national average of 162. Like Lipkin, Maoz-Ovadia has a professional interest in talking up the settlement housing market. And for her, too, it’s also personal. A year and a half ago, she and her husband bought a fixer-upper house with a yard in Kochav Yaakov, a town about an hour’s drive from Jerusalem, for 1.1 million shekels. Now the same houses are selling for 1.5 million. The housing market is also booming in Efrat, a town that acts as a bedroom community for nearby Jerusalem. Some politicians, including Education Minister Naftali Bennett, have pushed annexation of so-called consensus towns like Efrat — those that most Israelis assume will remain part of the country under any future scenario — for years. Israel’s government has also had an impact on the market. As he walked through an empty corner townhouse for sale in Efrat, real estate agent Yaniv Gabbay said as the prospect of a Palestinian state — and corresponding settlement evacuation — becomes more and more distant, Israelis feel increasingly comfortable investing in properties located in Judea and Samaria. Another townhouse in this development sold for 2 million shekels, about $550,000, in 2016, before it was built. This five-bedroom unit on the corner was going for 2.6 million shekels as of May. Israel’s right wing is also increasing the country’s settlement building. According to Peace Now, a left-wing Israeli NGO that monitors settlement activity, the number of construction starts in Israeli towns in Judea and Samaria was 17 percent above the annual average in 2017. On Wednesday, Israel announced the advancement of construction plans for 1,000 more housing units in Judea and Samaria. Hagit Ofran, who heads Peace Now’s Settlement Watch project, said the main problem facing any potential settlement evacuation is the sheer number of residents who live far from the pre-1967 Green Line. She is less worried abut Israelis who move to Judea and Samaria for quality-of-life reasons than the tens of thousands of ideological settlers who are committed to living in the heartland of the historic Land of Israel. Some residents of Israeli towns in northern Samaria said quality of life was the driving factor in bringing them to the area. When Miriam Shatsky and her husband were looking to buy a home recently, a mortgage agent laughed at them after they revealed their salaries and said they wanted to live in the central Israeli city of Modiin. 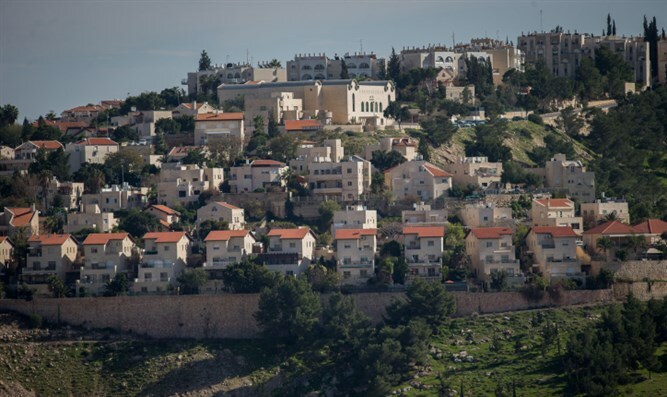 A few months ago they were able to buy a five-bedroom apartment for slightly more than $300,000 in Karnei Shomron, a settlement with a large English-speaking, or Anglo, population. Lipkin said that after living in Samaria for a while, the differences between quality-of-life concerns and ideology blur. With right-wing politicians frequently calling for some form of settlement annexation, Israel is doing more to absorb the settlements than to leave them. And in the meantime, more Israelis keep moving in.